Do you have an interest in welding? Are you ready to try your hand at wire welding? 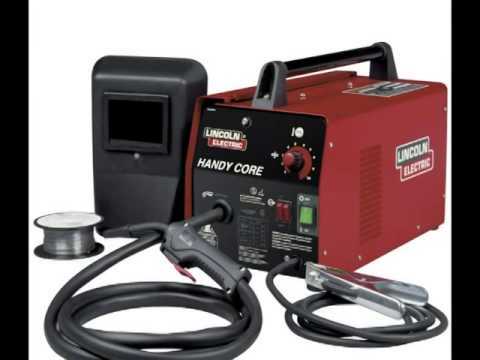 Have we got the welder for you – the Handy MIG from Lincoln Electric! This compact, portable and lightweight wire feed welder plugs into 115V, 20 amp outlet and is exceptionally user-friendly. Four voltage settings and continuous wire feed speed adjustment allow you to weld mild steel from 24 gauge to 1/8” thick. It is easy to get started with practically every accessory you will need for an MIG weld in the box. These include the gun and cable assembly, work cable and clamp, gas nozzle, gas regulator and hose, spool of solid wire, contact tips and hand shield with filter plate and lens. Just add a cylinder of shielding gas. That’s not all; there is also spool of self-shielded, flux-cored wire, contact tips, and chipping hammer/brush so you can use your Handy MIG to weld with gasless, flux-cored wire too. 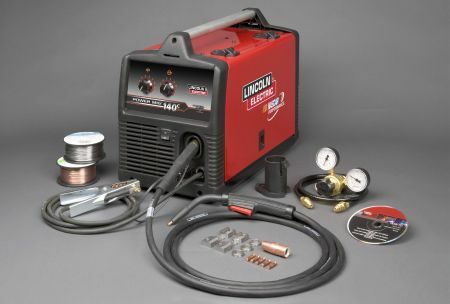 If you are looking for a versatile and easy to use welder, then the Lincoln Electric Handy MIG Welder is for you. This review brings forth the best features and benefits of owning this welder machine. It will keep you well equipped with all the necessary information and applications you need. You can use it for home hobby shops to build your little projects and on autobody work on cars. It is a great welder for sheet metal fabrication on lower gauge steel. Due to its light weight, this welder allows you to work in the workshop or go out in the field, and as it is robust, it can go almost anywhere you need. It has adjustable wire feed control and voltage and fan cooling to ensure no overheating. The safety feature to ensure the welding wire is kept cold until welding commences is an excellent component of this welder. 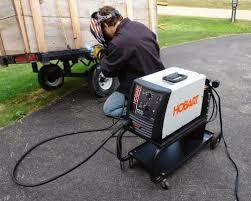 It is also a lightweight welder that is easy to maneuver and take everywhere you may require. This welder is not suitable for heavy duty use. On occasion, it may lengthen the time for a job as it does not feed wire well. This may be because of a faulty wire feed mechanism. It could be the spring tensioner, wire feed roller, or a tension roller. Lincoln Electric MIG welder can be plugged into any plug socket, so it is ready to go without additional equipment and at short notice. 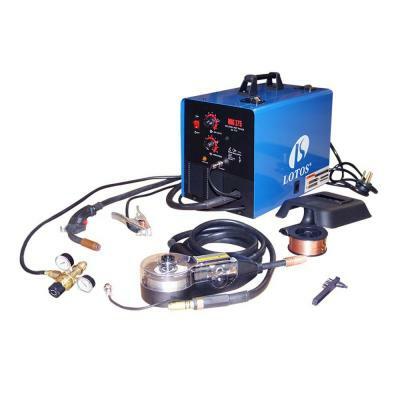 This welder comes with an excellent accessories kit, ensuring that you have everything you need, other than your clothing and shielding gas for the welder. For the heavy duty welding, it is unable to perform and may get damaged if used in this area. If you have been thinking about what MIG welder you should choose, but are finding it difficult to make a decision, then this is the welder for you. Customer commented that there are so many welders out there; it becomes difficult to choose. You do not know which one is best for you. Many customers have had pleasant experiences and have confirmed that you cannot go wrong with a Lincoln welder. Customers say that, if you are not searching for a very powerful welder, you will find this MIG welder can do exceptional welds for such small welder. This welder suits all your small welds and does an excellent job on thicker materials as well as when welding sheet metal. With its ease of work and light weight handling on tasks, durability is assured, and easy maintenance is well assured. Spare parts for this equipment are readily available, with affordable prices and quick delivery within your reach. With its long life expectancy, high production is rest assured. This gives an excellent return on investment.